This is going to get a 10, but still hate how the horizon dont look like perfect!.. (it may be the "bridge" <-- dont know the exact name, but it is going downwards, and this irritates my eyes. pd. beeing an Advanced Editing, you could probably have fixed it. I'm in two minds about that rock / tree on the far left... 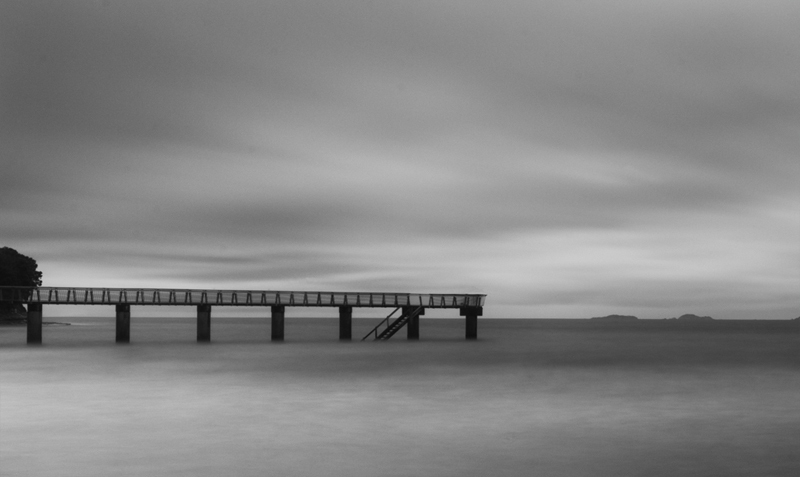 Yes it gives the jetty some grounding but it also keeps pulling my eye away from the rest of the image. Would have like the jetty a bit sharper as well. I like the minimalism about it and overall I say nice shot! Lovely tones and movement. I love the ladder. Proudly hosted by Sargasso Networks. Current Server Time: 04/24/2019 09:49:57 AM EDT.